She goes by the name Catherine Tan, and her name and Facebook profile have gotten quite infamous recently, mostly because she seems like she's on a crusade against the Malays. Her story? A Malay family allegedly try to force her to marry their IMH-diagnosed son. 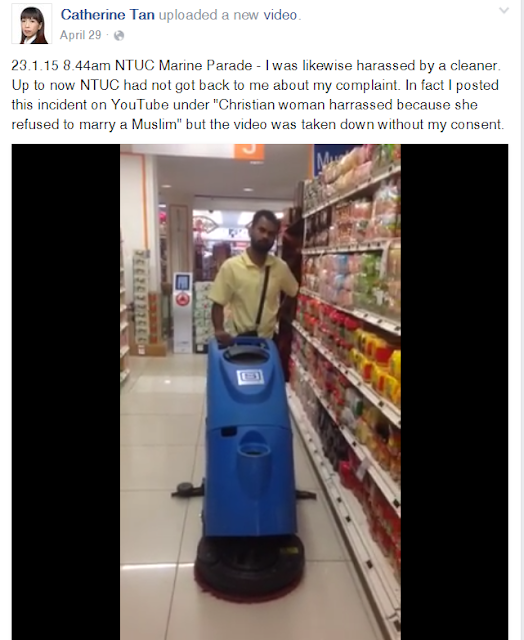 She claims that she has since suffered unjust treatment and harassment from members of the community because of this incident, which prompted her to go public with these "harassment" stories. 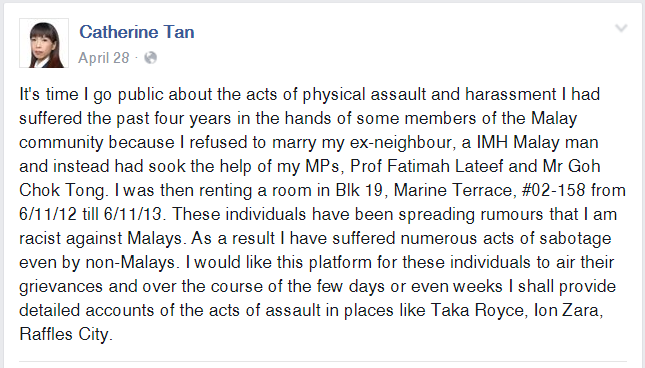 Since the fateful hand in marriage IMH incident, she claims that Malays have been constantly bullying her. From NTUC to Raffles to Taka, it seems that these "Malays" have tracked her with brutal efficiency to make her life harder, as her other Facebook posts show. 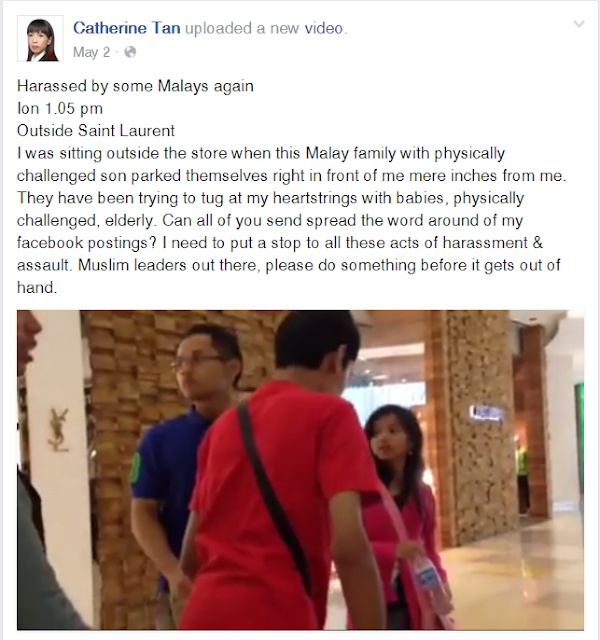 Armed constantly with a handphone in hand, she has been filming all these incidents down to "prove" that the "Malays" have an agenda against her. While most netizens haven't been too kind to her (ever since her name blown up, people have been flocking to her page like how Singaporeans usually do), an interesting question to ask would be what's her motivation? 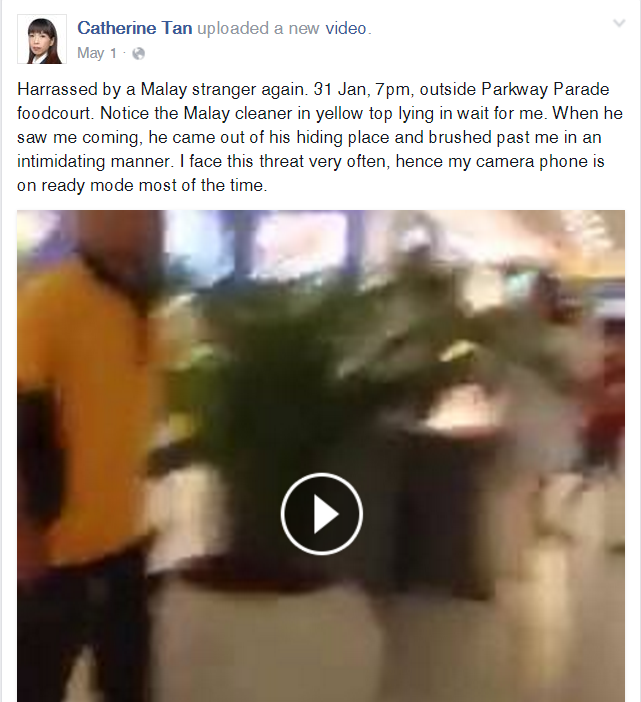 Does she really believe that the Malay community is out to get her since the incident four years ago? 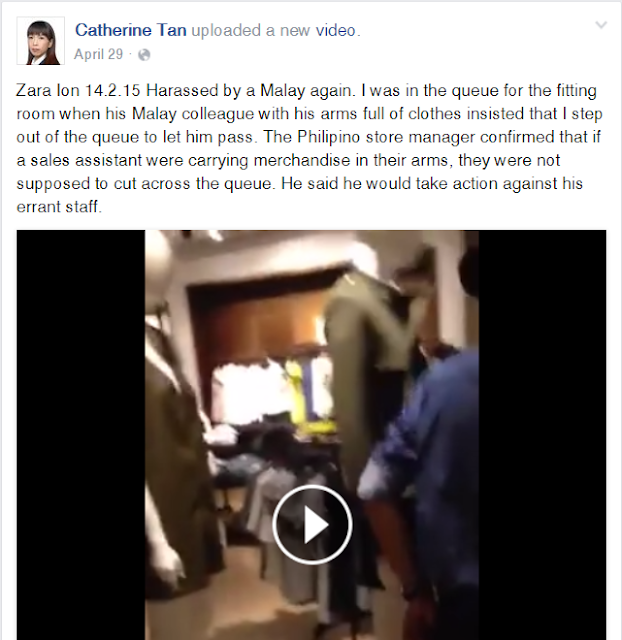 Or does she has a personal agenda against the Malays, cooking up scenarios in an attempt to stir hatred? Or is she merely trolling the internet to provoke a response, and laugh behind the screen looking at the people getting riled up over her? 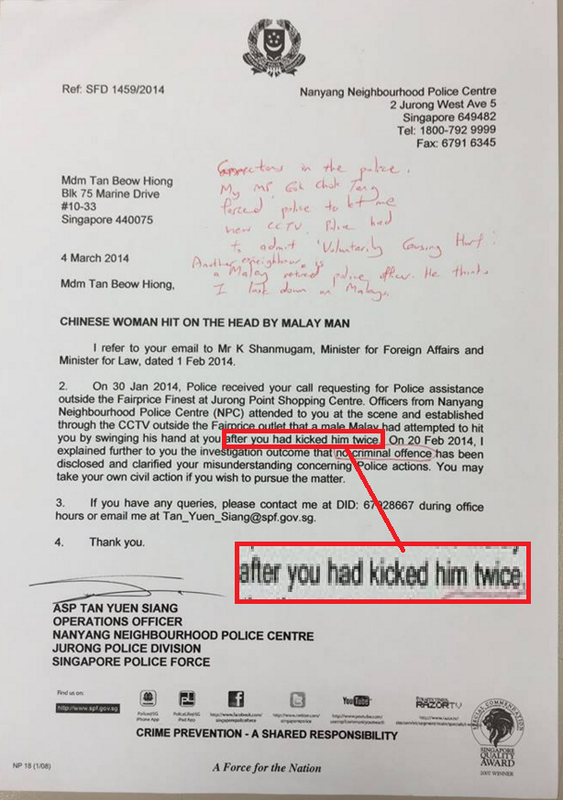 In one of her posts that showed a police report letter, if you read the report closely, you would notice that the Malay man only attempted to hit her AFTER she kicked him twice. 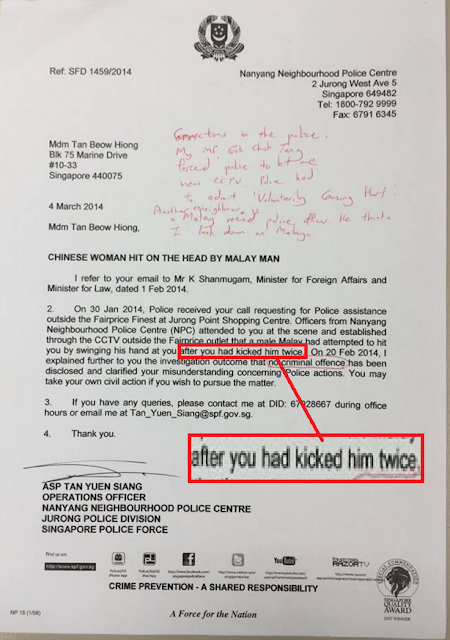 Says something about who first provoked the incident, isn't it? It seems as if she has an axe to grind with the Malays, looking at how she constantly searches for incidents to confirm her belief (smells like confirmation bias?). She has since privatised all her accounts, probably due to the online backlash. However, I still can't help but to wonder about the real motivation behind her doing all this. Only she knows I guess.